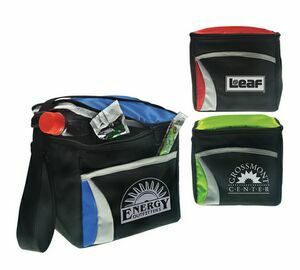 For Teachers, a Custom Printed Cooler Bag — Not a ‘Lunch Box’ — Can Be Fashionable, and Also Marketable! You, as an educator, not only keep your food and drink cool — especially if you’re a gym teacher or football coach — but promote the school you educate in. You’ve upped your value. And whether the school provides it for you, or you do, there’s instant value right there in keeping your position and proving to your constituents that you mean business. Now let’s say you’re a principal, and you want to offer a benefit to your entire faculty — a custom printed cooler bag says practicality, focusing on your teachers’ personal needs (vs. professional needs, which we can assume you already provide loads of that). They can be gifts. Or something already provided. You retain your educators. Your student body continues to excel. End of story. Forget about the crappy lunch boxes. You save the parents some money in trying to buy those kids the high-end products at the retail stores for streamlined cooler bags. Why not stock up on your own branded cooler bags to offer your alumni, and we’re willing to bet your students will not only deal with going to school every day — they’re going to want to! We’re talking about instant benefits. More value. Better recognition. Branding. And better quality not only for your students, but education as a whole. You’ll find a ton of other products benefiting this particular industry at BRAVA Marketing, but if you’re interested specifically in this product, you can find a list of styles right here. Contact us right now to get started!